None of us ever expect to be in a car wreck, and these incidents can happen out of nowhere. A car accident can cause severe trauma to a victim, and these injuries can impact their lives in detrimental ways for many years. All drivers have a responsibility to follow traffic laws and be aware of their fellow drivers. On June 1, State Police received a report of a two-vehicle accident. The information was received by police around 9:45 at night, and emergency responders were dispatched to the scene. Upon arrival at the scene between Pederson Road and Mountain Road, fire responders found that at least one individual had suffered injuries because of the accident. The injuries were reported to be serious, but the victim’s name has not been released. The scene was secured, and the road was closed for a time. No further details were reported. The serious nature of this accident reminds us all that we need to remain aware and do our part to prevent accidents. When drivers are behind the wheel, they must remember to take particular caution and be conscious of other people around them. It is essential for all drivers to be responsible and keep themselves and others safe. As members of the community, we want our roads to be safe for us and everyone else. 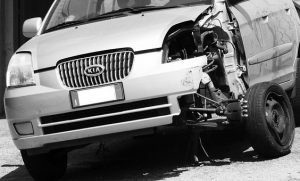 At the Law Offices of Jeffrey S. Glassman, we know how devastating some car accidents can be as we see the result first-hand. We realize, however, that accidents do happen. When an accident occurs, we are also here to help victims get the assistance they need to return to their lives.